Memories of the infamous 1973 Stockholm syndrome have re-emerged in the Lake Chad region of Northern Nigeria with the Jihadist sect Boko Haram (Jama’atu Ahlis Sunna Lidda’awati Wal -Jihad’ or JAS) Abubakar Shekau faction. This follows previous revelations that the remaining March 2014 abducted Chibok Girls estimated to be about 112 have vowed never to return home. The girls have chosen not to be rescued, they prefer to be left behind to live, fight and die with their newly found Boko Haram families in the Sambisa forest. Recent confession made by one of the 22 captured Boko Haram Jama’atu Ahlis Sunna Lidda’awati Wal -Jihad (JAS) top commander, 23 years old Mayinta Modu AKA Amor from Bama Local Government Area of Maiduguri – Borno State, North East Nigeria. Modu, who claims he and others personally took part in the planning, preparation, and execution of the mass kidnap in March 2014. Modu disclosed to the security services that the remaining Chibok girls (now estimated to be in their hundreds) have been married to top Boko Haram commanders, have developed happy families and are not willing to return from captivity. Other Commanders and Boko Haram fighters captured (all in their 20s) claim to have been involved in the Chibok Kidnapping and other past and recent suicide attacks. They include Adam Mohammed 20yrs, from Bama LGA Borno; Gujja Jidda 21yrs from Bama LGA Borno State; Mamman Wardi 25yrs from Bama LGA Borno State; Alhaji Modu Jidda 29yrs from Bama LGA Borno State; Ajiri Bulama Dungus 22yrs from Bama LGA; Mohammed Abba 20yrs from Bama LGA Borno State and Fannami Mustapha 22yrs from Bama LGA Borno State. Their age is a clear indication that these individual suspects and majority of Boko Haram recruits are radicalised and enlisted to carry out active jihadist fighting roles at a very young age when they are most vulnerable. 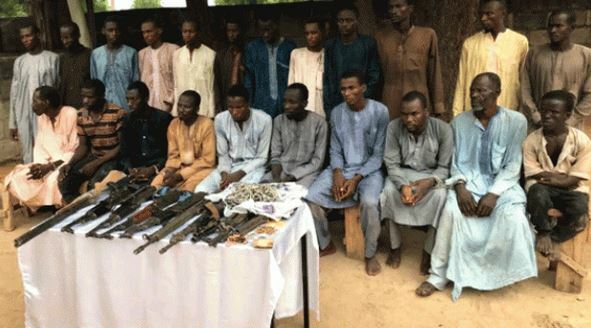 The coordinated arrest of 22 Boko Haram suspects in Borno State, Adamawa State and Yobe State was launched after a deployment of Special Operatives of the Inspector General of Police (IGP) Intelligence Response Team (IRT) with credible Technical Intelligence Terrorist Attack patterns in the North East. But Why Are The Remaining Chibok Girls Refusing to Be Rescued? 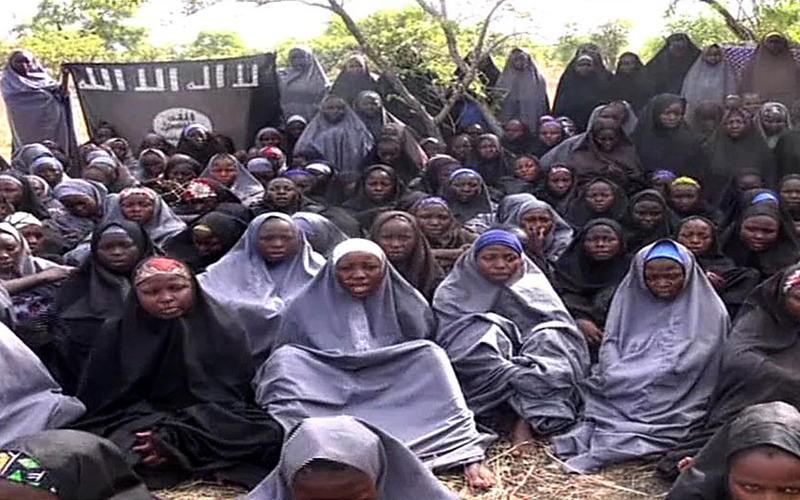 The shocking fact that Boko Haram was capable of deploying hostile intelligence, planning, preparation and logistics required to abduct about 276 girls in 2014 without any security resistance, or immediate rescue mission played a significant psychological impact to the minds of these young and vulnerable captives in a justifiable belief that no amount of security deployment could lead to their eventual release from the hands of their determined captives. If the mass Chibok kidnap could not be prevented in the first place, there was no hope of rescue to these young girls especially after spending more than 1, 2 years in captivity. Beyond 2 – 3 years the lifestyle in captivity becomes the new normal to most, especially to girls kidnapped at the tender age of 16-17 with the mind for adventure. With constant ideological indoctrination and everyday extreme radicalization, the prospect of any physical and mental rescue disappears with time as the girls bond with their kidnappers. To some of the Chibok Girls, the life they are experiencing in captivity is all they had come to know in the circumstances. The captured Boko Haram commanders say most of the remaining Chibok Girls have married Boko Haram commanders. As earlier mentioned, most of the Boko Haram fighters who took part in the 2014 abduction of the Chibok Girls were at their teens (15-19) and early 20s just as the girls they kidnapped on that fateful day. The original aim of the Chibok Girls kidnap was to provide companion and eventual brides to young Boko Haram fighters, create a family environment, keep the fighters happy and bring forth more children to continue propagating the jihadist group doctrine in future. The idea of getting married to young Boko Haram fighters and commanders was a thrill to some of the young Chibok Girls and the thrill increased as time went on and no rescue was forthcoming. The situation unexpectedly turned out to be more prestigious for both the Chibok Girls and young Boko Haram fighters to be married when the local and international press coverage of the Chibok kidnap and the BringBackOurGirls movement made the Girls famous in captivity more than anyone else kidnapped by Boko Haram but not belonging to the Chibok set. With husbands fighting over them, a high price tag in captivity, gifts, plenty of romance, local and international press coverage and special treatment afforded to the Chibok girls and their children by their commander husbands, life in the bushes has become a better choice for some of the girls. They have made families that cannot now be separated, therefore coming back is not an option anymore. After 4 years in captivity, some of the Chibok Girls may have no living relative to return home to. It was reported that some of the Chibok parents died of shock and hopelessness following the abduction of their daughters and the failure of the Nigerian government and security services to rescue them or provide counseling services to vulnerable parents. An incentive of hope in captivity is having a close family that a captive can return home to when released. With news of the deaths of some Chibok parents, it became obvious that some of the Chibok Girls who had lost their parents, coupled with other factors, decided to make a new family with their captors. With the eventual rescue of some Chibok Girls through a complex negotiation, some of the girls who were rescued by a combination of state and private stakeholders began to express disappointment with the treatment received after their release, leading to cases of a rescued girls who escaped back to join their Boko Haram husbands in the Sambisa forest. This trend was made worse by the selective action of the Nigeria government state and other private stakeholders decision to send some of the Chibok Girls to study abroad in the USA. A fantastic idea but the funders and stakeholders fought over ownership of the girls and directly discriminated hugely against other released captives of Boko Haram who were not part of the Chibok red carpet list. This profiteering action has often been used by Boko Haram to indoctrinate other captives against leaving the group or escaping to join THEM. On the other hand, the transfer of Chibok Girls to study abroad was used by Boko Haram to confirm that the introduction of Western Education, sports, and Music by the West the US especially was a direct action to destroy true Islam and Muslims. It is believed that some of the Chibok Girls have taken the Abubakar Shekau rhetoric for gospel truth and they fear being released and taking to ‘America’ where they will have their minds corrupted against what they believe is the true version of Islam. Almost all of the 112 remaining Chibok Girls have transformed from becoming victims to now engaging in active fighting and supporting roles with Boko Haram factions, such that they no longer see themselves as belonging to what the sects indoctrination labels as the other world full of ‘Kafir’ or ‘unbelievers’. They know they will not be able to face their communities if they return nor will they be welcome after years in Boko Haram territory. It only took 6 days for a young 19 years old Patty Hearst and others to develop a psychological feeling of trust, affection, and sympathy for the Revolutionary militants in the 1973 Stockholm bank siege primarily as a survival mechanism. After more than 4 years in captivity in northern Nigeria, the 16-17 years old Chibok Girls should be forgiven and excused for refusing to be rescued in their prevailing personal and environmental circumstance. In an effort to survive their ordeal, some of the girls have perfected the infamous ‘Stolkholm Syndrome’ survival tactics into something much deeper and much long lasting – ’The Chibok Girls Syndrome’.